The emerging advancements in technologies the world over have tremendously improved the efficiency and productivity of industry & business. Globalization, liberalization and privatization have pressurized Indian business to compete internationally. This has significantly increased the demand of professionals with excellence. It is in this context that Master & Bachelor Degrees in Business Administration have been introduced by the Swift Technical Campus. Apart from these courses , the technical campus has also taken care of the computer related , societal needs and commercial requirements of the society and has been significantly contributing in extending educational facilities. The Programme strives to inculcate a knack for self-management along with all the necessary knowledge and professional skills among the aspirants, which can gear them up for shouldering managerial and administrative responsibilities in their career. In order to make available the quality managers in the field of Human Resource , Finance & Marketing , a programme of Master of Business Administration is being run by the STC. Our modern teaching methodology and state-of-the-art infrastructure add to the value of the prescribed curriculum. The degree of Bachelor of Business Administration has been designed for those students who have a clear and focused vision of their career objectives. This course prepares them for executive career in business & other organizations, develops intellectual ability, executive personality & managerial skills. It is a professional degree which enables the students to have practical knowledge and have understanding of the corporate working. They are made fully aware of the management techniques & practices prevailing in the corporate world. This career program has been launched to produce Industry ready professional experts in programming techniques & the technologies in demand. It offers knowledge & skills to the students heading for a career in the IT field and also equips the students with skills required for IT sector.The objective of the course is to meet the manpower requirements of the fast developing software industry & the institutions of higher learning. With the boom in economy in past years, job opportunities have increased in the areas of education, government, business, management, MNCs and NGOs, retail sectors, banking, consultancy, finance, insurance ,FMCG, consumer durables, IT, advertising and media. 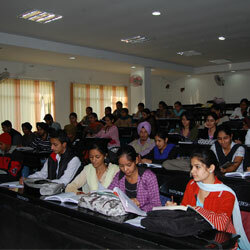 This Programme provides in depth knowledge of commerce & economics. By pursuing the course, the students attain analytical skills which help them in broadening their vision and understanding. It provides them ample opportunities to enter in to the managerial & other higher positions in banking , industries & allied fields. To keep pace with the changing social, economic, political , historical & cultural requirements of the society , Swift Technical Campus is running the Degree of Bachelor of Arts . The course inculcates moral, ethical & social values among the students .They may go in for higher studies in specialized fields, Join civil services & other courses of general nature. The arts and humanities encompass a range of subjects that are all concerned with cultural expression and how it has come to take the forms that exist today. This degree provides the students the opportunities to explore & preserve human culture, history, art, literature, music and religions of the twenty-first century. Students can acquire qualifications on the way to a degree in Humanities or in Arts and these qualifications provide stepping stones to a wide range of other diplomas & degrees. The students will gain insight into the modern world we live in and how we got to where we are. They pick up skills in information management and analysis, communication and presentation, and the valuable ability to think both creatively and critically. The four-year Program is designed to provide conceptual knowledge of core courses in the field of computer science and engineering. The various courses offered are in the areas of programming languages, database management, computer graphics, computational complexity theory, software engineering, algorithms, system architecture, and operating system, among others. The Program will emphasize on teaching fundamentals of basic courses along with practical applications. Apart from core courses, students will be offered program electives. 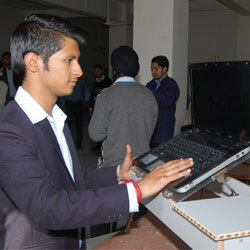 An open elective course will be offered with a view to encourage research in integrated areas. 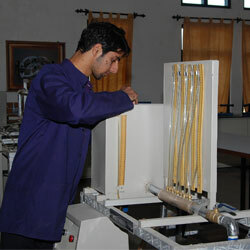 In lab-oriented project work, students are required to provide a practical shape to the concepts they have learned in various courses. Additionally, the students must complete six months training / internship in the final academic year, towards fulfillment of degree requirements. The undergraduate Program in Mechanical Engineering prepares students for the ever-expanding mechanical engineering fields. The graduates will have the required knowledge to work in relevant industries, and will also be able take up research in related and interdisciplinary areas. The Program prepares students on basic and applied sciences and also builds necessary engineering skills in areas of: machine design, thermal, metallurgy, automobile, and automation. The students get an overview of basic as well as advanced engineering concepts and also learn to apply them in real-life applications. The students are trained using an application-oriented approach.